When we first opened up our doors we made it our priority to become the most reliable plumbing service in the Fremont area. Things didn't start out with a bang, in fact business was extremely slow so we decided to come up with a sure-fire gimmick that would have customers flocking to our door. Thus was invented the 100% service satisfaction guarantee. Now, what started out as a gimmick has become our calling card. We guarantee that every single service we do will meet, and hopefully exceed, your expectations. Our Fremont plumbers offer a full complement of residential services. Each and every technician on our team is fully licensed by the state of California, and each of us is fully insured and bonded. We're used to working with worst case scenarios, day in and day out, and we know how to keep our bases covered. When you're dealing with a serious plumbing issue in your home, we'll make it better, no matter what it takes. 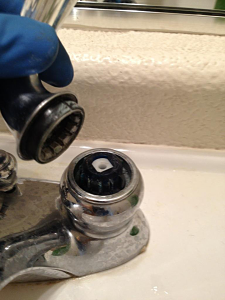 There are literally thousands of individual problems that can occur in a plumbing system. With over 30 years of combined experience, our Fremont CA plumbers have seen them all. If you don't see a service listed, call up our specialists. You'll get a live operator on the phone that can direct you to the correct plumber to handle your problem. We've got residential specialists on call 24 hours a day. Don't hesitate, call us now.